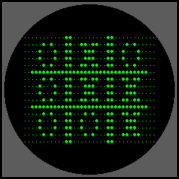 OXO - A single-player version of the pencil and paper game ‘noughts and crosses,’ written by Alexander Douglas for his PhD on human-computer interaction. Douglas programmed the game on a proto-type computer known as EDSAC (Electronic Delay Storage Automatic Calculator). Only one EDSAC machine was ever built, so few people knew of the game’s existence. Tennis for Two - A simple tennis game played on an oscilloscope which was hooked up to an analogue computer. Tennis for Two was built by Willy Higginbotham, a physicist working at the Brookhaven National Laboratory in New York. Higginbotham created it as a novelty attraction for an open day at the lab, but despite being a big hit with the visitors that day, he had no interest in developing the idea further. Space War – A widely played space-battle game which influenced future generations of game designers. Space War was originally created by Steve Russell when he was a student at the prestigious Massachusetts Institute of Technology. 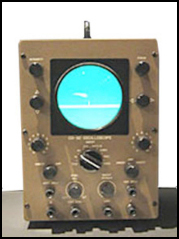 It was played on one of the first computers equipped with a TV monitor display, rather than just a punch card readout. Space War was inspired by the science fiction books of E.E. Doc Smith: two ships (consisting of simple black and white line graphics) battled it out against a moving star field. Russell only intended the game to be played by himself and a handful of other students, however, the source code was copied and it was consequently played by many students in different US universities. Brown Box - A prototype games console that plugged into a television set, it was built by engineer and inventor Ralph Baer. The brown box was a device that made white dots appear on the screen which could be moved by turning two knobs on a controller.